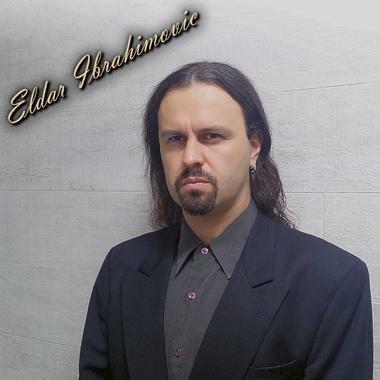 Talented Croatian composer Eldar Ibrahimovic is an active drummer, composer, and audio engineer now residing in Romania. He has a long-time passion for Classical music and has composed orchestral arrangements for the past few years, releasing four beautiful, passionate albums. Combined with his love for audio engineering and production, where he has been active for around 15 years, Eldar's creative and inspiring Classical music ranges from quiet and emotional String Quartets to full-scale Epic Orchestral arrangements. Eldar Ibrahimovic is a freelance composer and producer with currently four Contemporary Classical albums released. First Classical Album "Classical Collection Vol. 1: The Beginning" features a more traditional approach to Classical music. The second album, "Classical Collection, Volume 2: The Exploration" features more percussive and piano elements coupled with strong orchestral arrangements, melodic passages, and dramatic turns. After completing these two albums, Eldar did some remixes of his Classical compositions in Electronica/Techno style which features an interesting combination of these two genres. These remixes were released as "Classical Collection Volume 3: Remixes". Latest Album "Classical Collection Volume 4: The Cinematics" represents full blow Cinematic/Epic style release featuring 9 diverse songs. At present time, Eldar is composing Soundtrack/Trailer songs with an emphasis on percussive and symphonic elements but also incorporating modern approach and sound design. Eldar is also the full-time drummer of Croatian metal band War-Head, Romanian metal band Gothic, and occasionally does session work for numerous other bands.